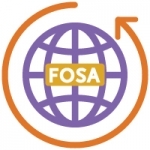 WASHINGTON DC - MARCH 26, 2018 - The Fiber Optic Sensing Association (FOSA), the nation’s premier trade association dedicated to fiber optic sensing, today applauded the enactment of “Dig Once” legislation designed to facilitate the deployment along U.S. highways of fiber optic cables for purposes of extending broadband and fiber optic sensing networks. The legislation, championed by U.S. Representatives Anna Eshoo (D-CA) and David McKinley (R-WV), requires states receiving federal highway funds to consult with broadband infrastructure providers in order to include their fiber optic cables or conduit at the time of highway construction. The Dig Once provisions were included in fiscal year 2018 spending legislation passed by Congress and signed into law by President Trump Friday afternoon. 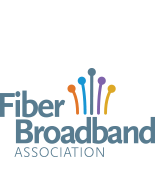 Although broadband deployment was the primary driver for the legislation, it will also facilitate fiber optic sensing, according to Uncapher.